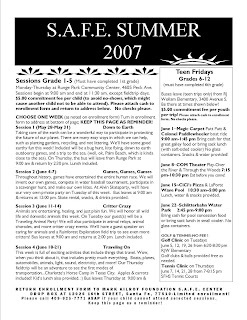 Click on the image below to view details of our 2007 Summer Program! This is not an enrollment form. If your child has not received an enrollment form, you will find them at all Santa Fe schools or at the Mark Kilroy Foundation office, 12026 16th Street, Santa Fe, Texas. Thanks!